Mother of Pearl Glimmer Confetti Pretty Confetti Shapes with a glimmer finish. Ingredi.. Pink Glimmer Confetti. Pretty Confetti Shapes with a glimmer finish. Ingredients: Sugar..
Ice Pink Mix Glimmer Confetti. 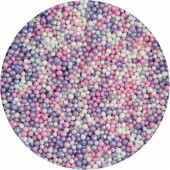 Pretty Confetti Shapes with a glimmer finish in pink, violet and m.. Wedding Mix Glimmer Confetti. Pretty Confetti Shapes with a glimmer finish in pink, turquoise, si..
Indigo Glimmer Confetti Pretty Confetti Shapes with a glimmer finish. Ingredients: Suga..
Turquoise Confetti Sprinkles Pretty Confetti Shapes with a glimmer finish. 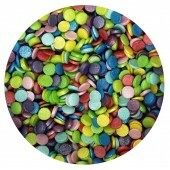 Ingredients:..
Glimmer Confetti Mix Pretty Confetti Shapes with a glimmer finish. 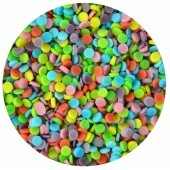 Lime, pink, blue, id..
Rainbow Confetti Sprinkles Pretty Confetti Shapes with a glimmer finish. 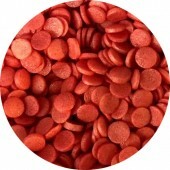 Ingredients: S..
Red Glimmer Confetti Sprinkles Pretty Heart Shapes with a glimmer finish. Ingredients: ..
Silver Glimmer Confetti Pretty Confetti Shapes with a glimmer finish. 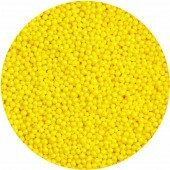 Ingredients: Sug..
Gold Glimmer Confetti Pretty Confetti Shapes with a glimmer finish. 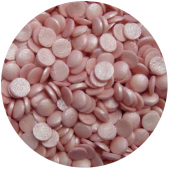 Ingredients: Sugar..
Jumbo Pink Glimmer Confetti Pretty Confetti Shapes with a glimmer finish. 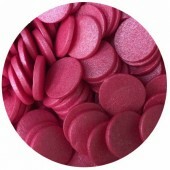 Ingredients: ..
Jumbo Deep Pink Glimmer Confetti Pretty Confetti Shapes with a glimmer finish. Ingredie..
Jumbo Turquoise Glimmer Confetti Pretty Confetti Shapes with a glimmer finish. Ingredie..
Jumbo Dark Blue Glimmer Confetti Pretty Confetti Shapes with a glimmer finish. 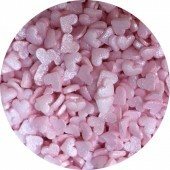 Ingredie..
Glimmer Pink & Mother of Pearl Hearts Pretty Confetti Shapes with a glimmer finish. 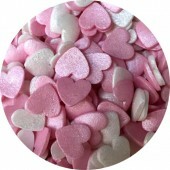 ..
Glimmer Candy Floss Hearts Pretty Confetti Shapes with a glimmer finish. Ingredients: S.. 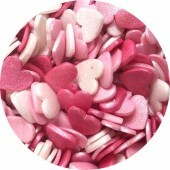 Deep Pink Glimmer Hearts Pretty Confetti Shapes with a glimmer finish. 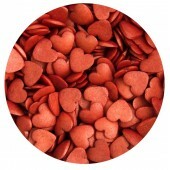 Ingredients: Sug..
Red Glimmer Sugar Heart Sprinkles Pretty Heart Shapes with a glimmer finish. Ingredient..
Sugar Glimmer Butterflies Delicate edible Butterfly shapes, a perfect topping for your cup ..
Multi Mix Sugar Glimmer Butterflies Delicate edible Butterfly shapes, a perfect topping for..
Mini Rainbow Glimmer Sugar Stars Pretty Confetti Shapes with a glimmer finish. 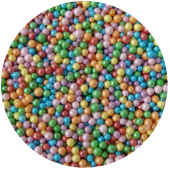 In..
Bakery Mix Sprinkles A pretty mix of rainbow stars and multicoloured strands Ingredients: Suga..
Large Rainbow Glimmer Sugar Stars Pretty Confetti Shapes with a glimmer finish. 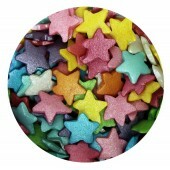 I..
Large Silver Glimmer Sugar Star Sprinkles Pretty Star Shapes with a glimmer finish. 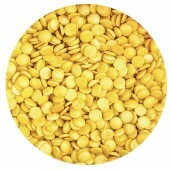 Ing..
Small Gold Glimmer Sugar Star Sprinkles Pretty Star Shapes with a glimmer finish. 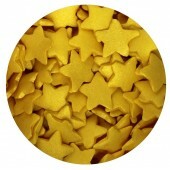 Ingre..
Large Gold Glimmer Sugar Star Sprinkles Pretty Star Shapes with a glimmer finish. 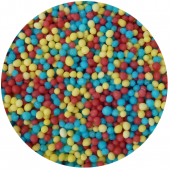 Ingre..
Confetti Funfetti Sprinkles Perfect for all cake decorations and ice-cream! 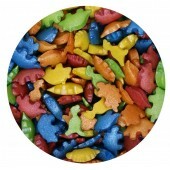 Ingredients:..
Glimmer Dinosaur Sprinkles Dinosaur Shapes with a glimmer finish. Ingredients: Sugar, P..
Sugar Flamingos Delicate edible Flamingo shapes, a perfect topping for your cup cakes In.. 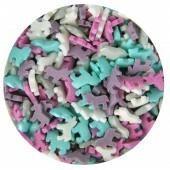 Pink Mix Sugar Unicorns Magical unicorn edible shapes. Each Unicorn measures around 10mm from ..
Magic Mix Sugar Unicorns Magical unicorn edible shapes in pink, purple, white, glimmer silver and..
Sugar Open Hearts Dream Mix Pretty Confetti Shapes with a glimmer finish in pink, violet an..
Mini Chocolate Beans - Pearl Baby Pink Perfect for all cake decorations and ice-cream! 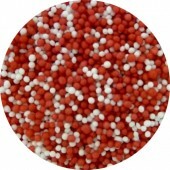 Ing..
Mini Chocolate Beans - Hot Pink Perfect for all cake decorations and ice-cream! 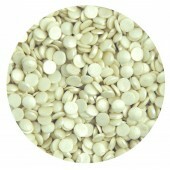 Ingredients: M..
Mini Chocolate Beans - Purple Perfect for all cake decorations and ice-cream! 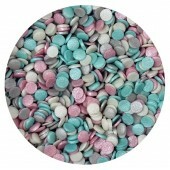 Ingredients:..
Mini Chocolate Beans - Pearl Baby Blue Perfect for all cake decorations and ice-cream! Ing..
Large Hot Pink Choco Balls Yummy, scrummy chocolate centred chocolate balls, perfect for cake dec..
Large Green Choco Balls Yummy, scrummy chocolate centred chocolate balls, perfect for cake decor..
Large Red Choco Balls Yummy, scrummy chocolate centred chocolate balls, perfect for cake decorat..
Large Bordeaux Choco Balls Yummy, scrummy chocolate centred chocolate balls, perfect for cake de..
Silver Choco Balls Yummy, scrummy chocolate centred chocolate balls, perfect for cake decoration..
Glimmer Pink All Natural Hundreds & Thousands with a pearlescent finish Ingredients: Sugar, W..
Ice Pink All Natural Hundreds & Thousands with a pearlescent finish Ingredients: Sugar, Wheat..
Glimmer Turquoise All Natural Hundreds & Thousands with a pearlescent finish Ingredients..
Multicoloured All Natural Hundreds & Thousands Ingredients: Sugar, wheat starch, glucose..
Rainbow Pearl All Natural Hundreds & Thousands Ingredients: Sugar, wheat starch, glucose syru.. Bright Mix All Natural Hundreds & Thousands Ingredients: Sugar, wheat starch, glucose syrup, ..
Red & White All Natural Hundreds & Thousands Ingredients: Sugar, wheat starch, glucose sy..
Red, White & Blue All Natural Hundreds & Thousands Ingredients: Sugar, wheat starch, gluc..
Yellow Glimmer Hundreds & Thousands Ingredients: Sugar, Wheat Starch, Glucose Syrup, Glaz..
Red Hundreds & Thousands These colourful hundreds & thousands are perfect for decorating ..
Blue Hundreds & Thousands. Ingredients: Sugar, Wheat Starch, Glucose Syrup, Glazing agent.. Bright Green Hundreds & Thousands. Ingredients: Sugar, Wheat Starch, Glucose Syrup, Glazi.. Bronze Glimmer All Natural Hundreds & Thousands Ingredients: Sugar, Glucose, Glucose Syrup, W..
Silver Metallic Hearts Perfect for all cake decorations and ice-cream! 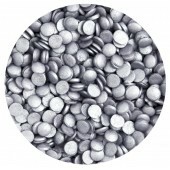 Ingredients: Sugar,..
Silver Metallic Squares Perfect for all cake decorations and ice-cream! 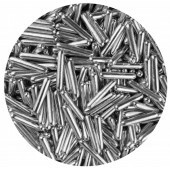 Ingredients: Sugar, gl..
Silver Metallic Macaroni Rods Metallic silver cake decorations with a centre made from Wheat Semo.. 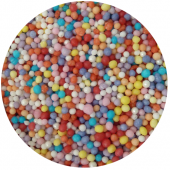 Frozen Sprinkles Pretty mix of blue & purple sugar pearls, white snowflakes and white 100's &..
Rainbow Dust Edible Gold Sequins Simply sprinkle or apply to your creation for instant results. T..
Rainbow Dust Edible Pink Hearts he Rainbow Dust range of edible confetti and sequin style sprink..
Wilton Sanding Sugar - Black Beautiful iridescent sprinkle sugar. 70g tub. ..
Pearlised White Sparkling Sugar Crystals Add some sparkle to your cakes and cupcakes with th..
Pearlised Gold Sparkling Sugar Crystals Add some sparkle to your cakes and cupcakes with the..
PME Gold Nonparelis. Great for cakes, cupcakes, cookies. 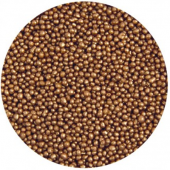 95g tub ..
PME Gourmet Chocolate Coated Coffee Beans Decorate your cakes & cupcakes with these delicious..
PME Gourmet Golden Honeycomb Nuggets Add a sweet honeycomb crunch to your cakes & cupcakes! 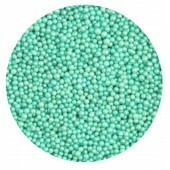 ..
Green Confetti Wafer Paper Perfect for edible grass for football themed cakes, Easter themed cake.. 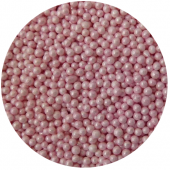 Pink Confetti Wafer Paper Perfect for edible grass for Easter themed cakes & more! Ingredi..
Sugarflair Rainbow Sparkle Sugar Shaker Sugarflair have developed a Rainbow Sparkle sugar shaker ..
Sugarflair Rose Gold Sugar Shaker Sugarflair have developed a Rose Gold Sparkle sugar shaker whic..